The following chart and discussion are supplemental to my monthly newsletter. Note that today's Active number is 94. The number of active listings in Eastham ebbs and flows a small number almost every day. There is also a major seasonal component to the active listings. The chart below takes us back to January 2009 and shows the number of listings by month, measured as a snapshot taken mid-month each month on the Cape Cod & Islands Multiple Listing Service (MLS). Although we peaked in the 140's several years ago, I expect this year's peak to be within a few of last year's 110. Yesterday morning, the day before Easter Sunday, the Town of Eastham Recreation Department held their annual Easter Egg Hunt at Wiley Park. The weather wasn't great, being wet and cold. But the many folks who showed up had a good time. Kids, of all ages, were sent off to collect plastic eggs filled with candy or a special prize. It was fast and furious for about 10 minutes. My grand kids (5 this weekend!) all scored plenty of candy - more than their parents would let them eat in one sitting. 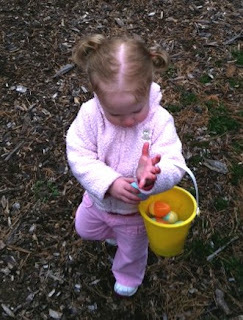 Below is Maddie, one of the twins, collecting her eggs. What happens to all those lobster shells that remain after the lobsters are stripped of all their meat? At my house they just go in the garbage. But, I haven't thought about all the shells from the food companies that process lobster meat for lobster ravioli, lobster soup, lobster tails, etc. The problem is that the shells end up in landfills. Leave it to the scientists from the University of Maine to figure out a good use for these discarded lobster shells. They've 'invented' a golf ball made from the shells. The selling point is that these lobster golf balls will dissolve in water a fairly short time, measured in weeks. Read the article on Yahoo Sports GrindTV blog. I'm not sure that dissolvable golf balls are a good idea. I will always retrieve lost balls. Do I then need to worry if they will turn to mush with a good tee-shot? 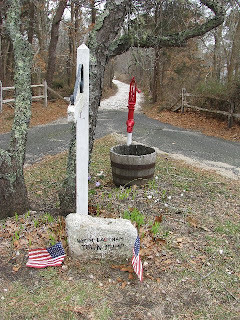 My May Eastham Newsletter Is Available Now! My May Eastham real estate newsletter is available now! This issue has the results of the first three months sales in Eastham as well as three new listings. Also, I 'announced' that I now have a mobile website formatted for the Apple iPhone and the various Android smartphones. This new website is intended for folks to view interior photos of a listing from the front yard. Go to http://newsletters.robertsheldon.com/ to download your copy. 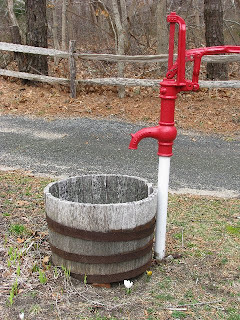 The hand pump is just off Aspinet Rd, at the end of a long driveway opposite Pineneedle Lane. 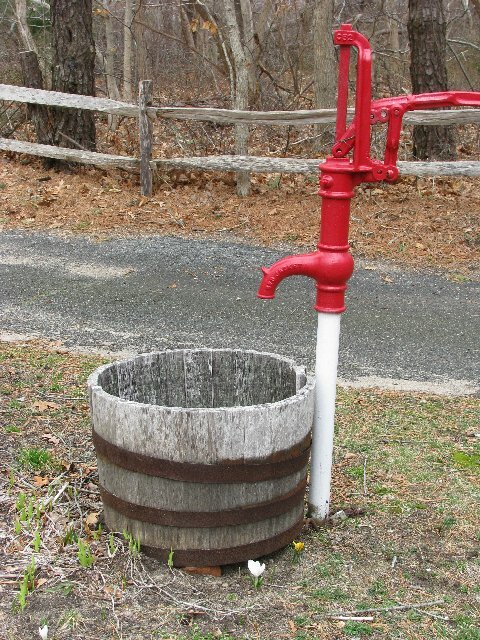 Interestingly, there is a white-painted stone nearby that states that the well was the North Eastham Town Well. Hmm. Here is a photo from the street. Click on the photo to enlarge it, so you can read the writing on the rock. it provides the Buyer with a detailed list of work that needs doing on the inspected home. The intent is to uncover serious flaws in the home that may be hidden from view or may need a professional's training to detect or assess. and it may provide 'ammunition' to renegotiate the terms of the offer. As a Buyer's agent, I insist that they have their 'offered' new home inspected. Fortunately on the Outer Cape we have a number of great home inspectors. Read this article that I found on the Nashua Telegraph's website. "Home inspections an essential tool for buyers"
Multi-week & full season stickers and permits also available. The instructions are on the forms. They will begin processing the applications in mid-April. Summer in coming! 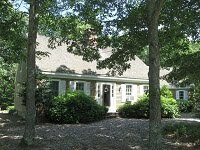 This spacious Cape-style home backs up to the Cape Cod Rail Trail, has 3 bedrooms, 2 1/2 baths on roughly 0.5 acres, in a great neighborhood - ready for you to move in and enjoy. The first floor has a guest bedroom, large eat-in kitchen, dining area, 1.5 bathrooms, and a living room with fireplace. There is, also, a sunroom overlooking the Bike path and an attached garage. Upstairs are 2 bedrooms, a large bathroom, and a storage area. A full basement. New roof. 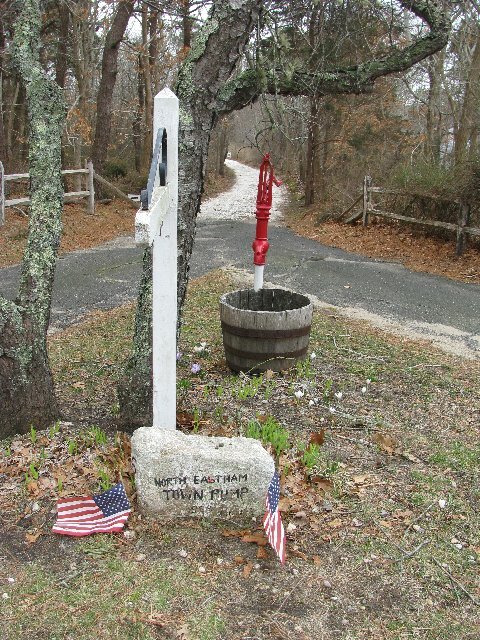 A wonderful opportunity to own a piece of Eastham. Check it out... Here. Listed at $439,000. Interested is seeing all the new listings in Eastham? Then go to my New Listings page and subscribe to my update service. 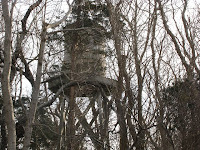 Last week I posted a photo and asked where in Eastham is this old wooden water tower? 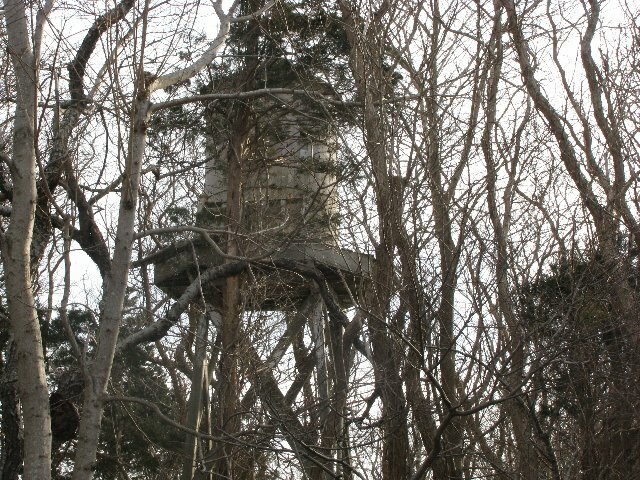 The tower is in the woods, but visible from the street, at 1800 Bridge Rd. This property is almost 7 acres, at the corner of Smith Farm Rd and Bridge. I call it the 'Schneider' property. If you want to go find it, you'd better do it soon. The trees will totally obstruct it from the road in just a few weeks. Today was a totally ugly day, weather-wise. We had a 40 degrees and light rain gray day. So, instead of showing how dreary Town Cove can be, I pulled a photo that I took a few days ago at Eastham's Collins Landing. The sky was clear and the water was very still. 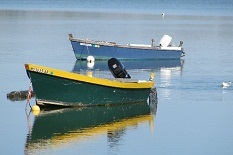 I particularly liked the boats' reflections in the water. Enjoy! 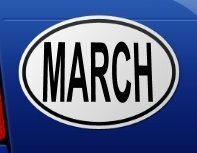 The median sale price in February was $420K. There are currently 83 active single family listings in Eastham, with an average list price of $557K and a medium price of $446K. The average days-on-market is currently 243 days.